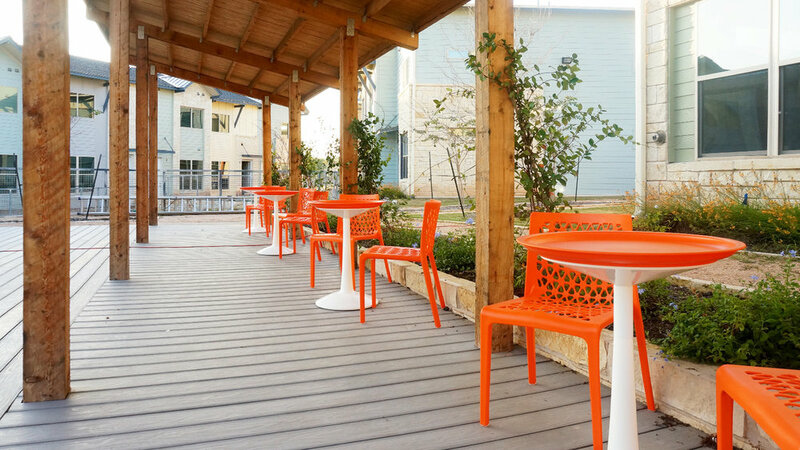 New to the flourishing 78745 neighborhood, Cooper Villas offers convenient access to the best of South Austin, including the neighboring Thicket Food Park & Community Space. 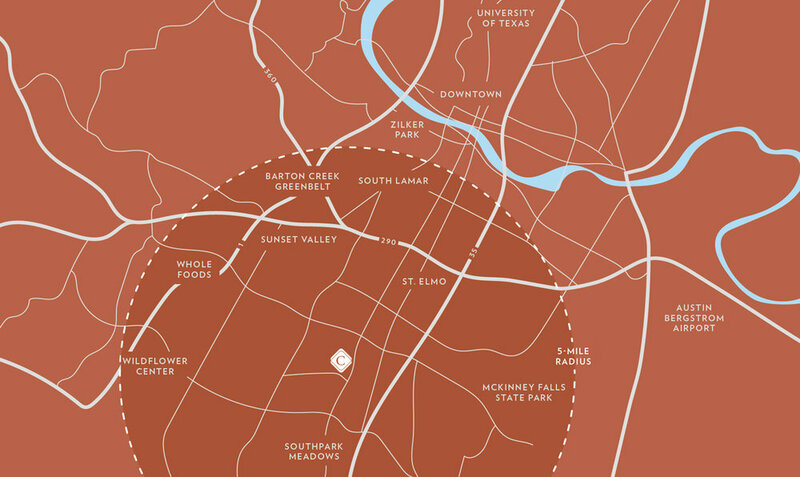 Thicket includes a great variety of Austin's food trucks, shaded seating areas, live music, special events, and a community garden. Learn more at thicketaustin.com! Natural Modern Design: The Cooper Villas design achieved by our team of world-class designers, demonstrates a strong commitment to creating innovative designs based on environmentally sustainable and financially viable business models. Standing-Seam Metal Roofing: Not just a clean and beautiful look, a standing seam metal roof outperforms any other roof types in longevity and energy efficiency. 9' Ceilings: Enjoy the modern and spacious 9' ceilings on both living and bedroom levels. Private Patios: All units include private patios for outdoor living and entertaining. Exterior Lighting: The exterior lighting at Cooper Villas was carefully selected and designed to light up the community at night, without creating excessive light pollution. IMPACT communities are well lit and feel safe while creating a desirable ambience. Colors in Harmony: Cooper Villa's exterior color palette was developed by a leading color consultant. The chosen color palette reflects a modern craftsman feel, that will maintain timeless and contemporary. The community is positioned around a central landscaped courtyard, promoting a sense of community through connected walkways, and an outdoor summer kitchen. On the back side of each home is a private, fenced patio, perfect for quietly enjoying the outdoors, or inviting over a few friends. A great way to start or end a work day, or relax on the weekend, the pool & fitness area is like your own private gym. Cooper Villas is great home for your dog too! The off-leash dog park sits beside one of the community's beautiful meadows. Invite a few friends and host a small dinner party using the summer kitchen's grill and nearby planted herbs. A large portion of the community is devoted to natural meadows and trails, a perfect setting for enjoying seasonal wildflowers.